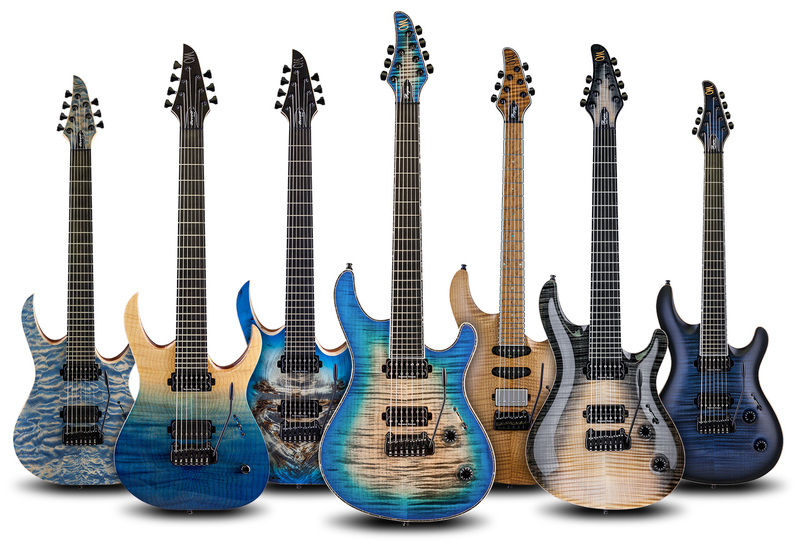 Now that NAMM 2019 show is finished, we have prepared a small summary of all the new finish options, features & hardware we have prepared for 2019. 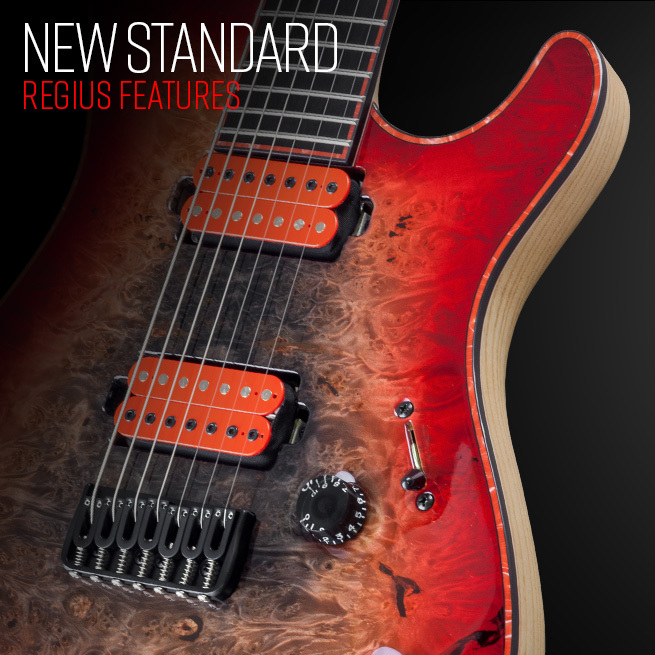 Regius, Regius Core, Regius Core Classic & Duvell Elite guitars are now available with a Hipshot US Contour tremolo bridge. After the undoubted success of our Master Class basses bridge we’ve decided to design a super comfy, resonant Jabba bridge. We wanted to lay a trend in classic basses and add a modern touch to its definitely vintage look. This Bridge has been designed at Mayones factory. It is cut super precisely by CNC machine which causes perfect repeatability. Available in two material versions brass and aluminium 2017 (PA6) used in aerospace industry. 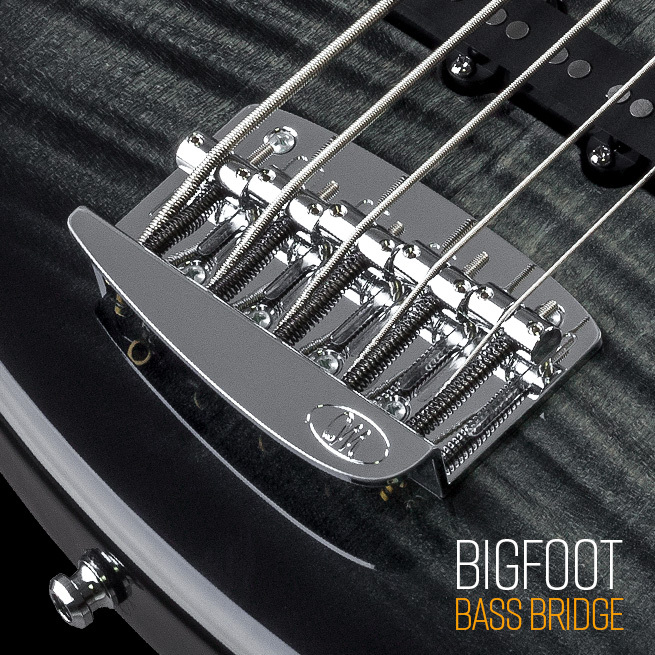 The Big Foot bridge has a very large contact area to transmit more string vibration to the instrument. To double the action and triple the excitement we have also added an optional feature – Titanium saddles. Titanium resonates better than steel, so you get more of your actual guitar tone than with standard parts. Better sustain and fatter sound allows you to turn down gain and eq on your amp to get much more dynamic tone and better note definition. Oh, and BTW, did we mention that titanium is much lighter than steel? The name of the new Mayones bass preamp refers to a historical figure, Musahi Miyamoto – a skilled swordsmen, philosopher, painter and writer. He became renowned through stories of his excellent and uniqu double-bladed technique and undefeated record in his 61 duels. 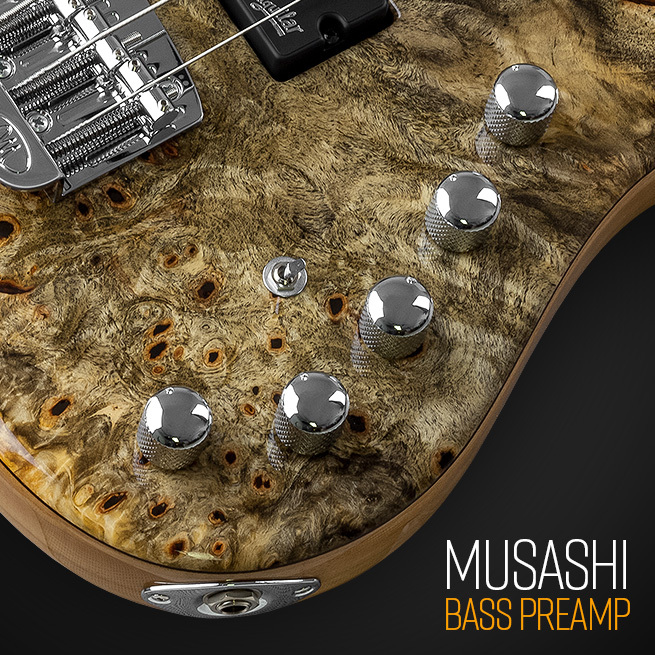 Designed and developed in Japan, the new Mayones Musashi preamp is an impeccable successor of this mighty ronin. The Musashi preamp offers an exceptional 2 band eq where the knobs work like double-bladed boosters without changing gain of the instrument. Its passive pot also works in active mode as a high-frequency suppressor. The additional back-side cavity dip switches allows you to fine-tune your bass tone. We always strive to be on top of our game. We constantly look for new solutions, improvements and ideas. 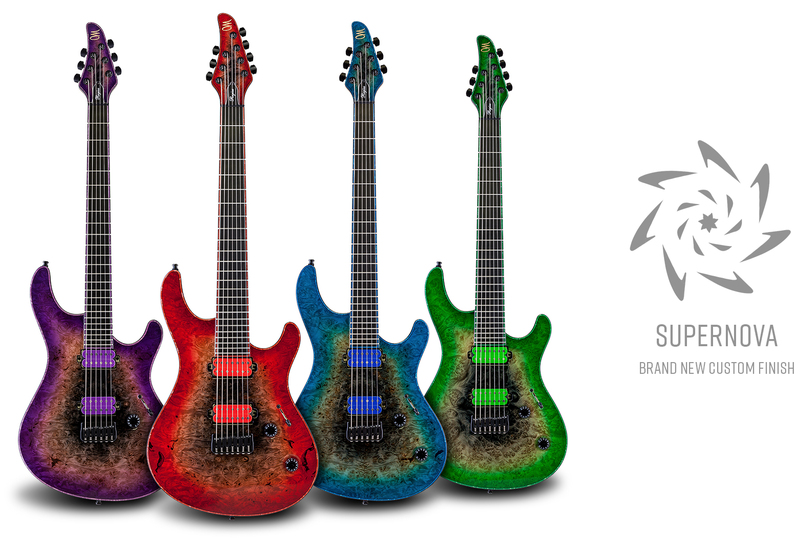 A new addition to Mayones pickups selection. Standard in new, 2019 Duvell & Hydra VF Fishman Models! 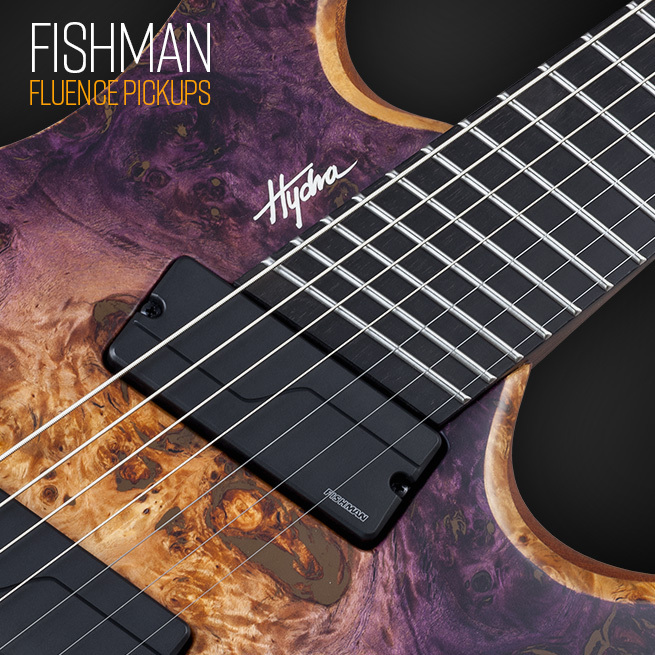 Fishman Fluence pickups are free from the hum, noise and possible inductance issues that may happen. Each Fishman Fluence pickup has two distinct and useful “Voices” on-board available in our guitars under Push-Pull switch. DO YOU KNOW WHAT IS THE NAME OF A SMALL CALEDONIUS? It might be half the size of our custom series basses, but it carries the same design philosophy & great tone, playability and highest attention to built quality and ergonomy. Neck-through-body construction (in both wenge and maple versions), beautiful top woods, highest quality fit & finish – no step has been skipped to ensure that Cali are 100% up to Mayones quality you expect. It has also one additional feature – Cali is a perfect travel companion due to its compact size and built-in headphone amp. It’s easy to carry, pack and set up to play everywhere & every time. Our goal and intention is to save as much wood as we can in our production pipeline – Cali is built from leftovers of quality woods we use for our Master Class basses, which are too small to use in a regular-sized instrument. It`s available in a limited number of copies per year, in direct sales only and comes with or without the built-in headphone preamp.